Anne sent me an example of, “why haven’t they thought of this before”: an air vent with the temperature display and control knob all in one. 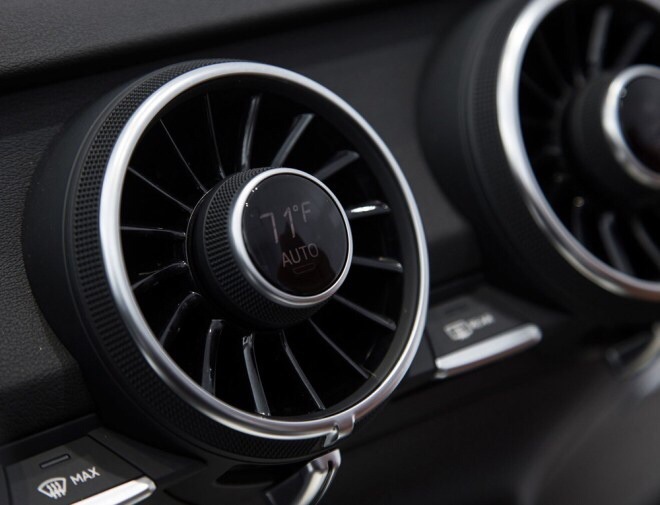 In this article describing the new Audi TT with glass dashboard, they describe the novel control/display/air vent seen in the image above. I guess one problem here is if it is accessible to only the driver or if it’s centrally located. The dashboard (shown in the linked article), however, is another story. While it looks futuristic, it looks like a distraction nightmare!